5 FLIGHTS UP follows a dynamic duo that must decide whether or not to sell their Brooklyn apartment of 40 years. Couple, Ruth and Alex have to contend with eccentric open house guests, their pushy realtor niece, and the health of their beloved family dog - all while navigating New York on edge from what turns out to be a media-generated frenzy. 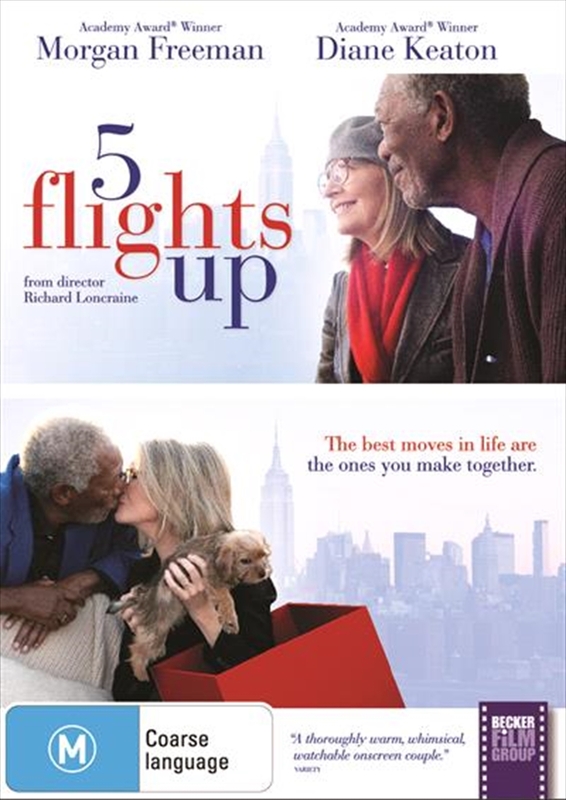 A wise comedy about life, love and real estate, 5 FLIGHTS UP stars Academy Award winners Diane Keaton and Morgan Freeman as a couple whose attempts at relocation send them on an urban odyssey - and help them redefine the meaning of home. This often humorous, delicately constructed and poignant film is based on the novel Heroic Measure by Jill Ciment, which was hailed by Oprah and praised by the Los Angeles times as "a brave, generous, nearly perfect novel".